You guys! Ugh… this gestational diabetes is killing me this month. 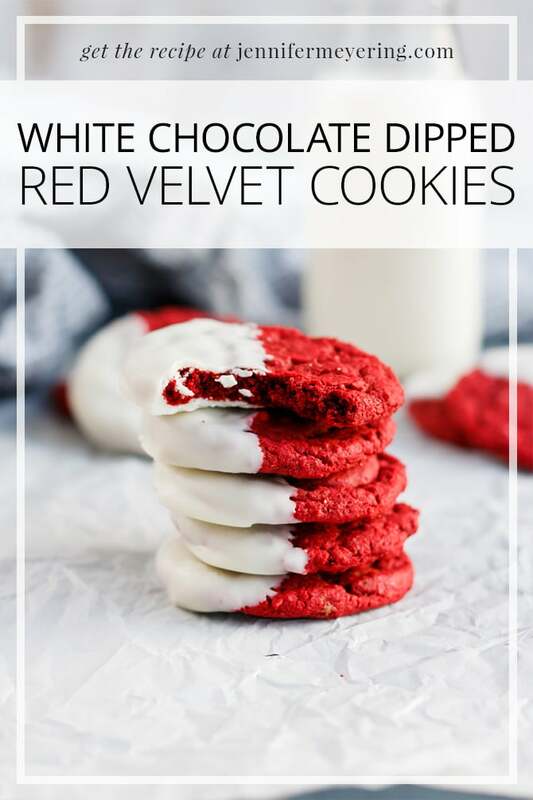 Not only is it Valentine’s Day and not I have to miss out on all those delicious chocolates that are floating around this time of year… but it’s also my birthday month and I can’t even indulge in some birthday cake or treats like these gorg red velvet cookies. Just looking at that beautiful red color and that dipped white chocolate is making me super sad. I guess it’s a good thing I actually made these last Christmas so I don’t have any taunting me in the house. Though if I did have any in the house, I know they wouldn’t last long because this batch didn’t last long. I think I was able to enjoy 2-3 of them before the kids snuck and devoured them all in less than 2 days. 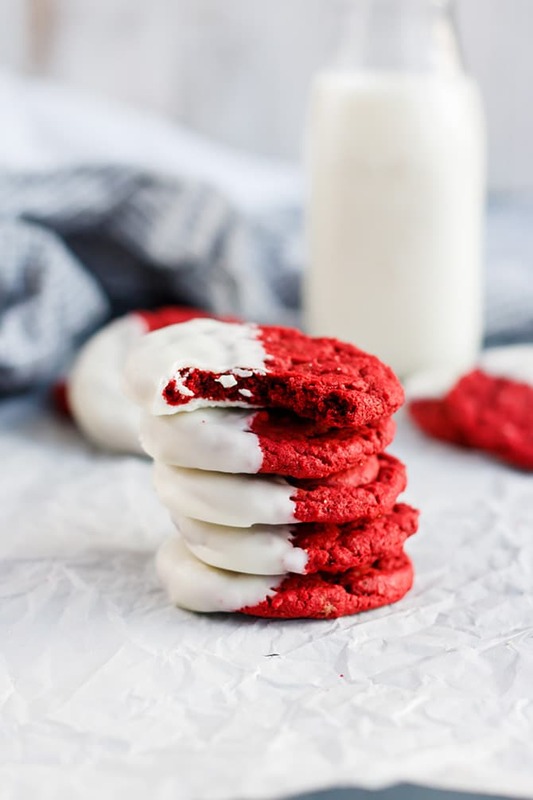 Anyway, since I was in my blogging funk last fall and didn’t post anything, I thought Valentine’s Day would be the perfect time to share these beautiful red cookies in front of you. Red is synonymous with Valentine’s Day and since I didn’t share them last December for Christmas, this was the next best choice instead of saving them for a year. These cookies are super simple to make and come together in about 20 minutes. If you’d prefer, you can just make the cookies by themselves without dipping them in the white chocolate but I highly recommend you dip them. 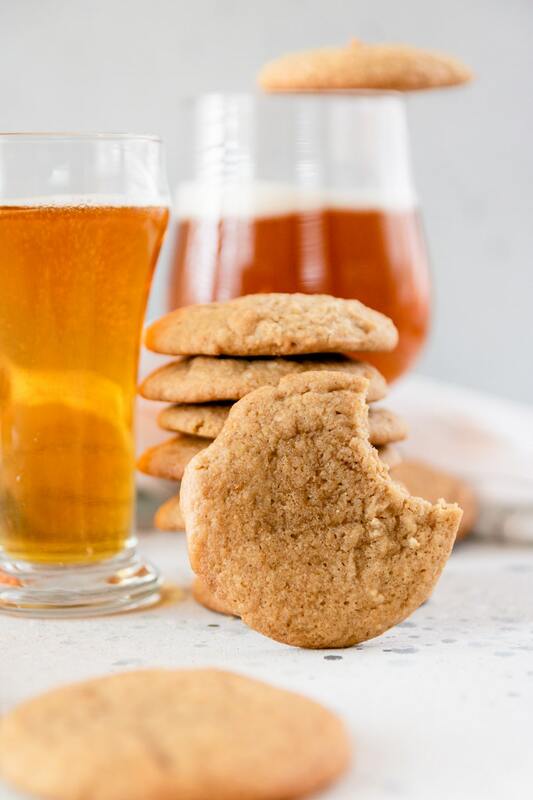 These cookies come out soft and chewy, just how I like my cookies, and then add a sweet side of white chocolate and you’re over the top with deliciousness. 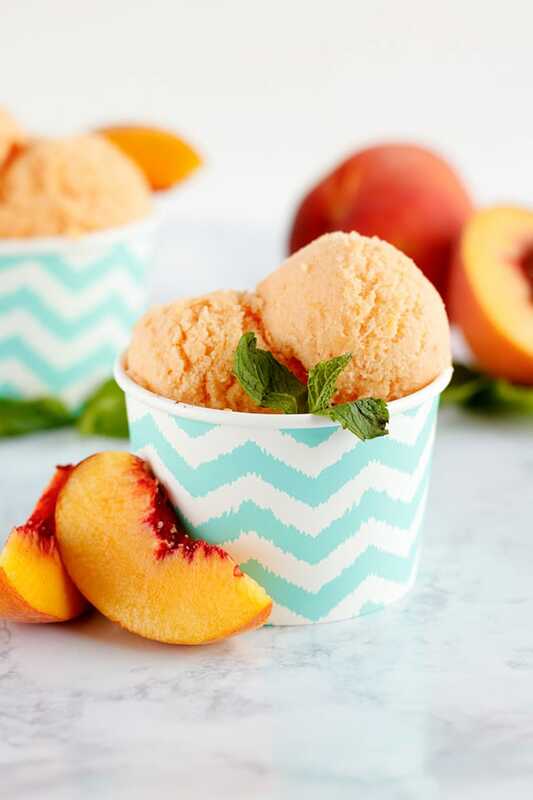 I can guarantee that you won’t be able to stop eating them and if you make them for your loved one this year, they will definitely love them, too. Preheat oven to 375° F and line baking sheet with parchment paper. In a large bowl, or bowl of stand mixer, cream together butter and sugar until fluffy. Add egg and mix to combine. Add flour, cocoa powder, baking soda, baking powder, and salt and mix to combine. Add red food coloring and mix to incorporate and better turns red. Scoop out onto prepared cookie sheet about 1 Tbsp at a time. Bake at 375° F for 8-10 minutes. Remove from oven and let cool completely. While cookies are cooling, melt chocolate chips over double boiler or in microwave in 30 second increments, mixing in between, until melted. Once cookies are cool, dip 1/2 of a cookie into melted white chocolate and place onto parchment paper to harden. Repeat until all cookies are done. Let white chocolate cool then eat and enjoy! How come these cookies look so good? I love anything red velvet. I just finished making heart sugar cookies this weekend and they are up on my blog. 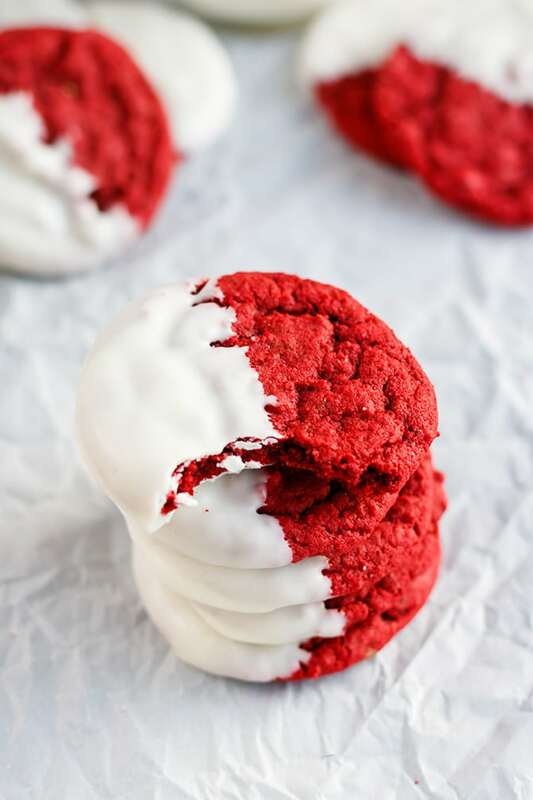 I pinned your red velvet cookies!